Schenectady /skɪˈnɛktədi/ is a city in Schenectady County, New York, United States, of which it is the county seat. As of the 2010 census, the city had a population of 66,135. The name "Schenectady" is derived loosely from a Mohawk word for "on that side of the pinery," or "near the pines," or "place beyond the pine plains." It is in eastern New York, near the confluence of the Mohawk and Hudson Rivers. It is in the same metropolitan area as the state capital, Albany, which is about 19 miles (31 km) southeast. When first encountered by Europeans, the area that is now Schenectady was the land of the Mohawk nation of the Iroquois Confederacy. When Dutch settlers arrived in the Hudson Valley in the 17th century, the Mohawk called the settlement at Fort Orange (present day Albany, NY) Schau-naugh-ta-da, meaning "over the pine plains." Eventually, this word entered the lexicon of the Dutch settlers, but the meaning was reversed, and the name referred to the bend in the Mohawk River where the city lies today. Schenectady was first settled by Europeans in 1661 when the area was part of the Dutch colony of New Netherland. Settlement was led by Arent van Curler, a prominent figure in the colony who had emigrated from Nijkerk in the Netherlands, after purchase from the Mohawk Nation. Some of the Dutch brought African slaves to the region as laborers, as did the later English. In 1664 the English seized the Dutch colony and renamed it New York. Settlers purchased additional land from the Mohawk in 1670 and 1672. Twenty years later (1684) Governor Thomas Dongan granted letters patent for Schenectady to five trustees. On February 8, 1690, during King William's War, French forces and their Indian allies attacked Schenectady by surprise, leaving 62 dead. American history notes it as the Schenectady massacre. In 1748, during King George's War, the French and Indians attacked again. In 1765, Schenectady was incorporated as a borough. Union College was founded in 1795. During the American Revolutionary War the local militia unit, the 2nd Albany County Militia Regiment, fought in the Battle of Saratoga and against Loyalist troops. Most of the warfare in the Mohawk Valley occurred farther west on the frontier. The settlement was chartered as a city in 1798. In the 19th century, after completion of the Erie Canal in 1825, Schenectady became an important transportation and trade center, as it was part of connecting the Hudson River to the Mohawk Valley and the Great Lakes. The Albany and Schenectady Turnpike (now State Street), established in 1797, connected Albany to the Mohawk Valley. The Erie Canal (now Erie Boulevard), opened in 1825, passed through here, as did the Mohawk and Hudson Railroad, opened in 1831 as one of the first railway lines in the United States. Commodities and commercial products were shipped to the East and New York City through the Mohawk Valley and Schenectady. In the antebellum years, Schenectady became a center of abolitionist activities. The last slaves in New York did not gain freedom until 1827, although the state had passed a gradual emancipation act in 1799, which first freed the children of slaves. Union College had established a school for black children in 1805, but discontinued it after two years. Parents had been unsuccessful in having their children admitted to public schools in the city. In 1836, Rev. Isaac Groot Duryea was a co-founder of the interracial Anti-Slavery Society at Union College. An Underground Railroad route ran through the area. In 1837, Duryea helped found the First Free Church of Schenectady together with other free people of color; it provided space in the basement for a school for their children. The abolitionist Theodore Sedgwick Wright, who was based in New York City, spoke at the dedication of the church. In 1887, Thomas Edison moved his Edison Machine Works to Schenectady. In 1892, Schenectady became the headquarters of the General Electric Company. It became a major economic force and helped establish the city and region as a manufacturing center. GE became important nationally as a creative company. Schenectady is home to WGY-AM, the second commercial radio station in the United States, (after WBZ in Springfield, Massachusetts, which was named for Westinghouse.) The station was named for its owner, General Electric (the G), and the city of Schenectady (the Y). In 1928, General Electric produced the first regular television broadcasts in the United States, when the experimental station W2XB began regular broadcasts on Thursday and Friday afternoons. This television station is now WRGB; for years it was the Capital District's NBC affiliate, but is now the CBS affiliate. 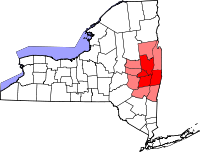 Schenectady is located at 42°48′N 73°56′W﻿ / ﻿42.8, -73.933 (42.8041, −73.9293). The altitude above sea level is 211 to 275 feet (64 to 84 meters). According to the United States Census Bureau, the city has a total area of 11.0 square miles (28.49 km2), of which, 10.9 square miles (28.23 km2) of it is land and 0.1 square miles (0.26 km2) of it (1.27%) is water. It is part of the Capital District, the metropolitan area surrounding Albany, New York state's capital. Along with Albany and Troy, it is one of the three principal population and industrial centers in the region. The city was a manufacturing center known as "The City that Lights and Hauls the World" – a reference to two prominent businesses in the city, the Edison Electric Company (now known as General Electric), and the American Locomotive Company (ALCO). GE retains its administrative core in Schenectady, but it relocated thousands of manufacturing jobs to the Sun Belt and abroad. ALCO produced steam locomotives for railroads for years, and then in the later years became famous for its "Superpower" line of high-pressure locomotives, such as those for the Union Pacific Railroad in the 1930s and 1940s, and made tanks in the Second World War. As diesel locomotives began to appear, ALCO joined with GE to develop diesel locomotives to compete with the EMD division of General Motors. But corporate restructuring to cope with the changing locomotive procurement environment saw the slow downward spiral of ALCO. Its operations fizzled as the company went through acquisitions and restructuring in the late 1960s. Its Schenectady plant closed in 1969. In the late 20th century, the city experienced difficult financial times, as did many upstate New York former manufacturing cities. The loss of employment caused Schenectady's population to decline by nearly one-third since 1950. In the 21st century, Schenectady began revitalization. GE's establishing a renewable energy center brought hundreds of employees to the area. It is part of a metropolitan area with improving economic health, and buildings have been renovated for new uses. Numerous small businesses, retail stores and restaurants have developed on State Street. Price Chopper Supermarkets and the New York Lottery are based in Schenectady. In the census of 2010, there were 66,135 people, 26,265 (2000 data) households, and 14,051 (2000 data) families residing in the city. The population density was 6,096.7 people per square mile (2,199.9/km²). There were 30,272 (2000 data) housing units at an average density of 2,790.6 per square mile (1,077.2/km²). The racial makeup of the city was 59.38%(52.31% Non-Hispanic) (7.07 White-Hispanic)White, 24.19% African American, 0.69% Native American, 2.62% Asian, 0.14% Pacific Islander, 8.24% from other races, and 5.74% from two or more races. Hispanic or Latino of any race were 14.47% of the population. There is a growing Guyanese population in the area. The top ancestries are Italian (13.6%), Guyanese (12.3%), Irish (12.1%), Puerto Rican (10.1%), German (8.7%), English (6.0%), Polish (5.4%), French (4.4%). The Schenectady City School District is very diverse economically and racially. (71%- 2011)(80%-2013) of the district receives free or reduced lunch. The school district is 35% Black (48% Graduate), 32% White(71% Graduate), 18% Hispanic(51% Graduate), 15% Asian(68 % Graduate). The Graduation rate for the high school is 57%. Using 2010 data, there were 28,264 households out of which 31.2% had children under the age of 18 living with them, 28.0% were married couples living together, 24.7% had a female householder with no husband present, and 45.5% were non-families. 38.6% of all households were made up of individuals and 10.8% had someone living alone who was 65 years of age or older. The average household size was 2.23 and the average family size was 2.98. In the city the year 2010 population was spread out with 26.3% under the age of 18, 13.6% from 18 to 24, 30.7% from 25 to 44, 21.1% from 45 to 64, and 7.2% who were 65 years of age or older. The median age was 32 years. For every 100 females there were 92.5 males. For every 100 females age 18 and over, there were 88.4 males. The median income for a household in the city in 2000 was $29,378 (2010–37,436), and the median income for a family was $41,158. Males had a median income of $32,929 versus $26,856 for females. The per capita income for the city was $17,076. About 20.2% of families and 25.9% of the population were below the poverty line, including 41.5% of those under age 18 and 5.6% of those age 65 or over. Amtrak, the national passenger rail system, provides regular service to Schenectady to a station at 322 Erie Boulevard. Schenectady also has freight rail service from Canadian Pacific Railway and CSX Transportation. Schenectady had a local streetcar system and electric interurban passenger service. 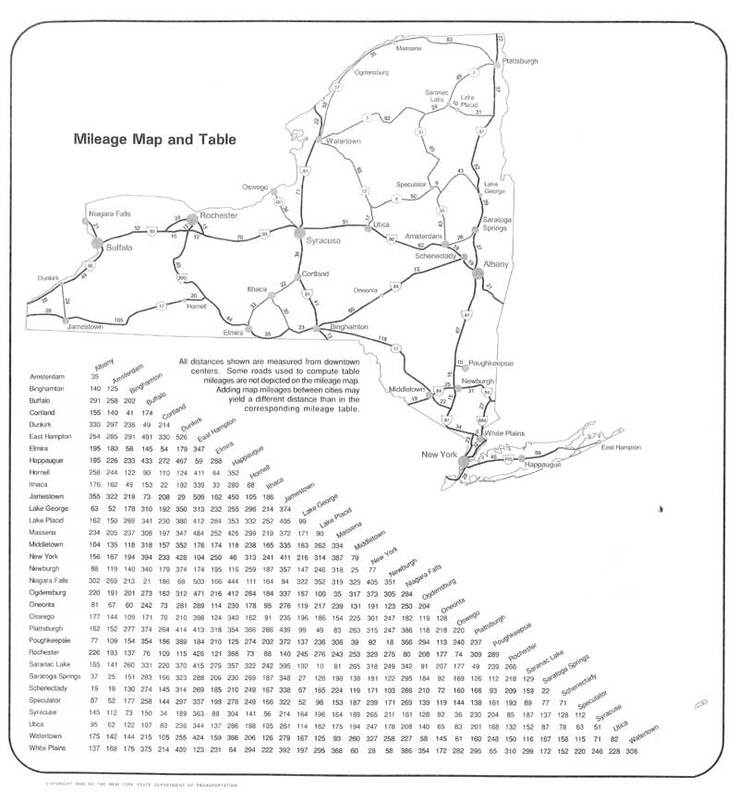 The Schenectady Railway Co. had local lines and interurban lines serving Albany, Ballston Spa, Saratoga Springs and Troy. There was also a line from Gloversville, Johnstown, Amsterdam, and Scotia into Downtown Schenectady operated by the Fonda, Johnstown, and Gloversville Railroad. The nearly 200 leather and glove companies (178) in the Gloversville region generated considerable traffic for the line. Sales representatives carrying product sample cases would begin their sales campaigns throughout the rest of the country by taking the interurban to reach Schenectady's New York Central Railroad station, where they connected to trains to New York City, Chicago and points between. The bright orange FJ&G interurbans were scheduled to meet every daylight New York Central train that stopped at Schenectady. Through the 1900s and into the early 1930s, the line was quite prosperous. In 1932 the FJ&G purchased five lightweight Bullet cars (#125 through 129) from the J. G. Brill Company. These interurbans represented state of the art design: the "bullet" description referred to the unusual front roof that was designed to slope down to the windshield in an aerodynamically sleek way. FJ&G bought the cars believing that there would be continuing strong passenger business from a prosperous glove and leather industry, as well as legacy tourism traffic to Lake Sacandaga north of Gloversville. Instead, roads were improved, automobiles became cheaper and were purchased more widely, tourists traveled more widely, and the Great Depression decreased business. FJ&G ridership continued to decline, and in 1938 New York state condemned the line's bridge over the Mohawk River at Schenectady. This bridge had once carried cars, pedestrians, plus the interurban, but ice flow damage in 1928 prompted the state to restrict its use to the interurban. When in 1938 the state condemned the bridge for interurban use, the line abandoned passenger service. The desirable Bullet cars were sold. Freight business had also been important to the FJ&G, and it continued over the risky bridge into Schenectady a few more years. An accordion-playing guide welcomes visitors to a restored Dutch home in the Schenectady Stockade District. Proctors Theatre is an arts center. Built in 1926 as a vaudeville/movie theater, it has been refurbished in the 21st century. It is home to "Goldie," a Wurlitzer theater pipe organ. Proctor's was also the site of one of the first public demonstrations of television, projecting an image from a studio at the GE plant a mile [2 km] away. Its 2007 renovation added two theatres: Proctors is home to three theaters, including the historic Mainstage, the GE Theatre, and 440 Upstairs. The Schenectady County Historical Society has a History Museum and the Grems-Doolittle research library. They are housed at 32 Washington Avenue in the Stockade District. It has adapted a house originally built in 1895 for the Jackson family. It was used by the GE Women's Club from 1915 until 1957, when it was donated to the Historical Society. The History Museum tells of the History of Schenectady, the Yates Doll House, the Erie Canal, and the Glen-Sanders Collection, etc. The research library has many collections of papers, photographs, and books. It welcomes people doing local and genealogical research. The Mabee House in nearby Rotterdam Junction is owned and operated as a house museum by the Schenectady County Historical Society. It features the oldest house in the Mohawk Valley, with many events, school programs and exhibits scheduled for it. The General Electric Realty Plot, located near Union College, was built for General Electric Company executives in the late 19th and early 20th centuries. It features an eclectic collection of grand homes in a variety of architectural styles, including Tudor, Dutch Colonial, Queen Anne, and Spanish Colonial. The Plot is home to the first all-electric home in the United States, and it is one of the first planned residential neighborhoods in the US. The Plot hosts an annual House and Garden Tour. Union College, adjacent to the GE Realty Plot, is the oldest planned college campus in the United States. The Union campus features the unique 16-sided Nott Memorial building, built in 1875, and Jackson's Garden, eight acres (32,000 m²) of formal gardens and woodlands. Central Park is the crown jewel of Schenectady's parks. It occupies the highest elevation point in the city. The Common Council voted in 1913 to purchase the land for the present site of the park. The park features an acclaimed rose garden and Iroquois Lake. Its stadium tennis court was the former home to the New York Buzz of the World Team Tennis league (as of 2008). Central Park was named after New York City's Central Park. Both Central Parks were designed by landscape architect Frederick Law Olmsted. The Schenectady Museum features exhibits on the development of science and technology. It contains the Suits-Bueche Planetarium. Schenectady City Hall is the focal point of government in the city. Designed by McKim, Mead and White, it was built in 1933 during the Great Depression. Schenectady's Municipal Golf Course is an 18-hole championship facility sited among oaks and pines. Designed in 1935 by Jim Thompson under the WPA, the course was ranked by Golf Digest among "Best Places to Play in 2004" and received a three-star rating. Jay Street, located between Proctors and City Hall, is a short street partially closed to motor traffic. It features a number of small, independently operated businesses and eateries and is a popular destination. Schenectady Light Opera Company (SLOC) is a small community theater group on Franklin St in downtown Schenectady. The Empire State Aerosciences Museum, in nearby Glenville, features extensive exhibits and materials on aviation. The Edison Tech Center, exhibits and promotes the physical development of engineering and technology from Schenectady and elsewhere. It provides online and on-site displays that promote learning about electricity and its applications in technology. Vale Cemetery, listed on the National Register of Historic Places, it includes more than 30,000 burials of noted and ordinary residents of the city. It includes the historic African-American Burying Ground, where Juneteenth and Emancipation are celebrated annually. The film The Place Beyond the Pines, featuring Bradley Cooper and Ryan Gosling, began filming in 2011 near the Schenectady Police Headquarters and other areas of Schenectady. The movie was released in March 2013. The 2008 film Synecdoche, New York is partially set in Schenectady (and a few scenes were filmed in Schenectady), and plays on the aural similarity between the city's name and the figure of speech synecdoche. The 2009 film, Winter of Frozen Dreams was entirely filmed in Schenectady County, but is set in Wisconsin. It features the City of Schenectady, the town of Rotterdam, NY, and the Village of Scotia, NY. The film stars Thora Birch as real life Wisconsin murderer, Barbara Hoffman, and Keith Carradine as the detective who is determined to catch her. The remake of the film The Time Machine starring Guy Pearce, features Schenectady's Central Park in the ice skating scenes. This park was substituted for New York City's Central Park. The 1973 film The Way We Were was filmed on location in Schenectady at Union College, and in nearby Ballston Spa. The 1980s film Heart Like a Wheel starring Bonnie Bedelia as female race car driver Shirley Muldowney, is mostly set in Schenectady, but was not actually filmed there. The 1996 made for TV film Unabomber, the True Story starring Robert Hays as David Kaczynski, brother of unabomber Ted Kaczynski, was partially set in Schenectady, but also not actually filmed there. David and Linda Kaczynski lived in Schenectady when they solved the mystery of the unabomber's identity. Joseph S. Pulver, Sr.'s Lovecraftian serial killer novel, Nightmare's Disciple (Chaosium, 1999) is set in Schenectady, N.Y. In the television program, The Honeymooners, Trixie's mother was from Schenectady. In the ABC-TV series Ugly Betty, Marc St. James (played by Michael Urie) grew up in Schenectady. In the song "Someone To Love" by Fountains of Wayne, Seth Shapiro, a fictional character in the song, moved to Brooklyn from Schenectady in 1993. Schenectady is referenced or is the setting for many of Kurt Vonnegut's books, most notably Hocus Pocus and Player Piano. Doctor Octopus, a Marvel Comics supervillain, was born in Schenectady, New York. Daisy Miller, the title character of the 1878 novella by Henry James, hails from Schenectady. This fact is revealed, in a passage notable for its humor, when Daisy's little brother, Randolph, explaining why his father has not accompanied the family on its trip to Switzerland, announces, "'My father ain't in Europe; my father's in a better place than Europe.'" His interlocutor "imagined for a moment that this was the manner in which the child had been taught to intimate that Mr. Miller had been removed to the sphere of celestial rewards. But Randolph immediately added, 'My father's in Schenectady. He's got a big business. My father's rich, you bet.'" Author Harlan Ellison has stated that anytime a fan or interviewer asks him the question "Where do you get your ideas?" he replies "Schenectady". Science fiction writer Barry Longyear subsequently titled a collection of his short stories It Came From Schenectady. In the film It's Always Fair Weather, Michael Kidd's character is from Schenectady. Grace Adler, of the television comedy Will & Grace, is from Schenectady. In the series, Grace was raised in Schenectady and her mother, played by Debbie Reynolds, still lives there as of the end of the series' run. The city was featured in season one's "The Unsinkable Mommy Adler", season two's "Whose Mom Is It Anyway?" and season six's "Swimming From Cambodia" and "Fanilow". In the flashback season three episode, "Lows In The Mid-Eighties", Will and Grace visited Schenectady back when they were dating during college. In the 1992 film Sneakers, the opening scene, featuring the young versions of the characters portrayed by Robert Redford and Ben Kingsley, shows Union College covered in snow. In the 1945 film Objective, Burma!, Lt. Sid Jacobs (William Prince) tells reporter Mark Williams (Henry Hull) about his house on Crane Street in Schenectady; the address is on his dog tags (real street, fictional house number). He had been a teacher at Pleasant Valley school before the war. He also makes a reference to Central Park in Schenectady. Ann B. Davis (1926-2014), actress (Schultzy on The Bob Cummings Show and Alice Nelson on The Brady Bunch), was born in Schenectady. Sir Charles Mackerras (1925–2010), Australian conductor, was born in Schenectady. ^ "Schenectady Digital History Archive"
^ Foderaro, Lisa W. (February 28, 2010). "Union College Finally Admits Where It Is". The New York Times. http://www.nytimes.com/2010/03/01/nyregion/01unioncollege.html?scp=1&sq=union%20college%20finally%20admits%20where%20its%20at&st=cse. ^ a b "Great Inventors of New York's Capital District". http://www.historyofsaratoga.com. "The Fonda, Johnstown, and Gloversville RR: The Sacandaga Route to the Adirondacks". Randy Decker, Arcadia Publishing. "Our Railroad: The Fonda, Johnstown, and Gloversville RR 1867 to 1893". Paul Larner, St. Albans, VT.
"The Steam Locomotive in America". Alfred W. Bruce, 1952, Bonanza Books division of Crown Publishers, Inc., New York, NY. Morse, J. (1797). "Skenectady". The American Gazetteer. Boston, Massachusetts: At the presses of S. Hall, and Thomas & Andrews. http://www.archive.org/stream/americangazettee00mors#page/n509/mode/2up. Yates, Austin A. Schenectady County, New York: Its History to the Close of the Nineteenth Century Publisher: New York History Company, 1902. Wikisource has the text of the 1920 Encyclopedia Americana article Schenectady. Daily Gazette, official website. —Local newspaper on-line. Daily Gazette, Google news archive. —PDFs of 3,576 issues, dating from 1990 through 2004. Our Town: Schenectady. Documentary video produced by WMHT (TV). This page uses content from the English language Wikipedia. The original content was at Schenectady, New York. The list of authors can be seen in the page history. As with this Familypedia wiki, the content of Wikipedia is available under the Creative Commons License.